Dr. Filangeri earned a dental degree from the Indiana University School of Dentistry, after attending Indiana University. He spent four years working for the United States Public Health Service in Bethel, Alaska, before returning to New York to enter private practice. He is a member of the American Dental Association, Academy of General Dentistry, New York State Dental Association, and Suffolk County Dental Society. 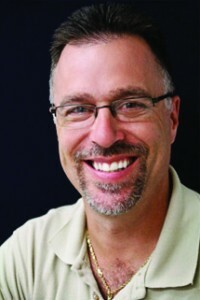 Dr. Filangeri has taken numerous postgraduate education courses, with recent training in implant dentistry and Tip-Edge™ orthodontics, a low-force technique. This training allows him to incorporate more treatments into his practice to help give you the smile of your dreams. Dr. Filangeri’s commitment to lifelong education means that he is constantly evaluating emerging dental methods and technologies in order to provide his patients with the best results in the least invasive manner with a high emphasis on comfort. This commitment ensures the highest level of care, both today and tomorrow. Dr. Filangeri has two daughters, both in college. In his spare time, he enjoys flying as a private pilot, classic cars, and motorcycling.